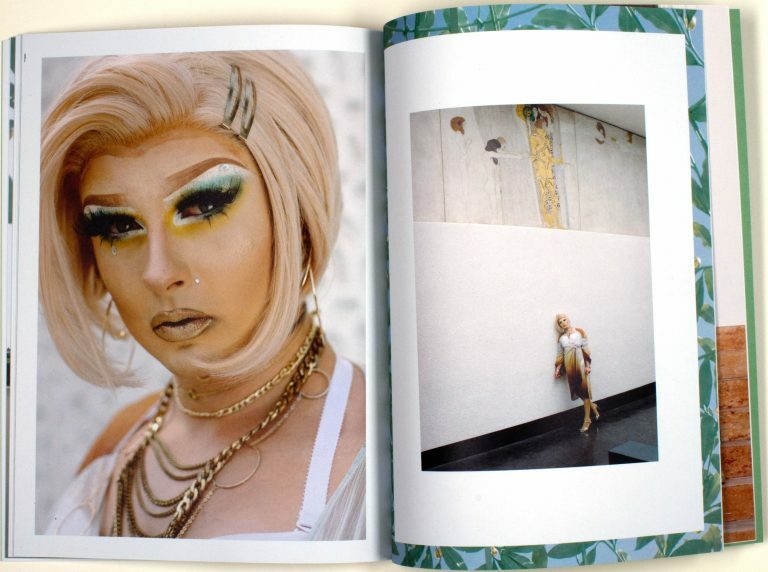 Philipp Timischl’s artists’ book “Artworks For All Age Groups” shows a photographic series with a conspicuously glamorous female figure; it is the artist himself in drag. Accompanied by a muscular young man, she is taking a private stroll through the Secession’s deserted galleries, secret corridors, and offices. The artist seeks to spotlight a form of feigned self-confidence prompted by insecurity, marginalization, and being torn between milieus and classes. A text by Paul Clinton and an excerpt from Didier Eribon “Returning to Reims” are dealing with forms of class division and their relationship to queer identity.